Being intentionally Eco-wise is about celebrating the creativity of creation, being good stewards with what we’re given, and passing on those values to the next generation. The thing I love most about practicing good green green habits? Nine times out of ten, they’re also the more frugal option. Being environmentally-friendly is just good economics—in our home and budget, and with the earth. 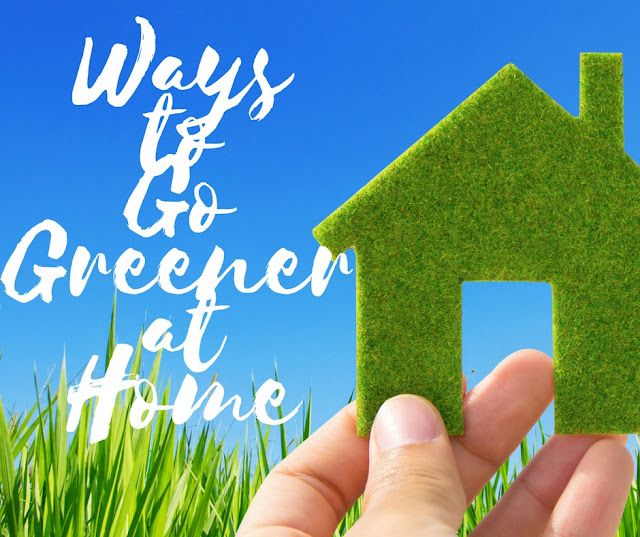 There are tons of little things we can do in our homes to play a small part in reducing landfill waste, cleaning the air, and preserving the natural landscape. But we double our efforts when we get our kids involved, helping them understand the why to our what. When they get it, it’ll be second nature when they’re adults—and that much easier to pass it down to their children. Here are some small, easy, green choices we can make in our homes. Choose three that you’re not already doing, and make them a habit this year. 1. Plant an herb garden. It’s good to have a reminder around of where our food originates, and this one is super easy. 2. Stop using disposable bags. Order some reusable bags—my favorites are Flip & Tumble. Or, make your own—they’re insanely easy. 3. Buy an inexpensive reusable water bottle, and stop buying plastic disposable bottles. 4. Don’t turn on lights at all for as long as you can—open your curtains and enjoy natural light. 5. Pay your bills online. Not only is it greener, it’s a sanity saver. 6. Support your local economy and shop at your farmer’s market. 7. Reuse scrap paper. Print on two sides, or let your kids color on the back side of used paper. 8. Support local restaurants that use food derived less than 100 miles away, and learn more about the benefits of eating locally. 9. Make your own household cleaners. 10. Unplug unused chargers and appliances. 11. Repurpose something. It’s fun. 12. Collect rainwater, and use it to water your houseplants and garden. 13. Switch to cloth diapers – or at least do a combination with disposables. Even one cloth diaper per day means 365 fewer disposables in the landfill each year. 14. Use cloth instead of paper to clean your kitchen. Be frugal, and make these rags out of old towels and t-shirts. 15. Repurpose glass jars as leftover containers and bulk storage, especially in the kitchen.